A cast of four bring the lyrics of the incredible Dorothy Fields to life in this world premiere revue, with Charles Gilbert as musical director and accompanist, under the direction of Gayle Stahlhuth. Gilbert last worked with ELTC in Rodgers' Romance, and the company is thrilled to have him back. 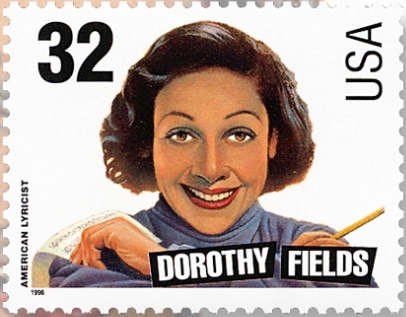 During her almost 50-year career, Dorothy Fields wrote lyrics for more than 400 songs; worked on 15 Broadway musicals, sometimes as book writer and/or lyricist, and almost 30 Hollywood films. In 1927, she received sole billing as lyricist for a revue at Harlem’s Cotton Club that featured Duke Ellington and his Orchestra. With composer Jimmy McHugh back in the 1920s, she wrote such songs as “I Can’t Give You Anything but Love” and “On the Sunny Side of the Street.” Her film music with Jerome Kern included them winning the Academy Award for Best Song in 1936 for “The Way You Look Tonight” from Swingtime. Cy Coleman, twenty-years her junior, asked Fields to write the lyrics for his music for the Broadway shows Sweet Charity (1965) and Seesaw (1973). Other collaborators with whom she worked include: Sigmond Romberg, Morton Gould, Arthur Schwartz, Harold Arlen, Albert Hague, Fritz Kreisler, Max Steiner, Oscar Levant, Harry Warren, and Burton Lane.